Expansion, relocation and new facilities characterize the changing face of healthcare in Lake County. All four major providers, (Leesburg Regional Medical Center, The Villages Regional Medical Center, South Lake Hospital and Florida Hospital-Waterman), along with relative newcomer Celebration Health, give residents a wide range of choices for their medical needs. It is no surprise that Lake County ranks 2nd only to neighboring Orange County in the number of Central Florida hospital beds with a total of 843. 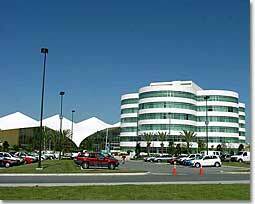 Lake County's 2nd largest hospital, with 209 beds, celebrated their 75th anniversary in 2012. It moved from Umatilla to Eustis. In 1994, shortly after Waterman became affiliated with Florida Hospital and the Adventist Health System, they began work on a new 123-acre facility on Highway 441 in Tavares. Phase I, the Waterman Medical Plaza, was completed in 1997 and houses x-ray labs, an outpatient surgery center, mammography center and pharmacy, as well as physician offices. A new $129 million campus opened in 2003. The new state-of-the-art facility holds 209 patient beds in a 5-story tower including an emergency room, diagnostic area and cancer center. Go to http://www.fhwat.org/ Other significant advancements in recent years include a new obstetrics center, enlarged emergency room, a new progressive care unit, and a therapy wellness department. Florida Hospital Waterman's health team offers a series of services and specialties combined with the latest in medical technology. The Home Care Service Program now has two branches in Leesburg and Eustis. They recently added a Physical Therapy and Wellness Department, Cardiac Catherization Lab and Endoscopy and Pain Management Center. South Lake Hospital, a 122-bed non-profit acute care community hospital, has served the healthcare needs of the South Lake County community for more than 50 years. In partnership with Orlando Regional Healthcare, the hospital, now in its beautiful new 150-acre facility in Clermont, provides a wide range of quality healthcare services and programs for residents and visitors. South Lake's USA Triathlon National Training Center is a place where local residents, national and international athletes of all levels will have the opportunity to meet their goals. The South Lake Wellness Center - located in the USAT National Training Center - combines comprehensive wellness programs and fitness training with state-of-the-art equipment. Other services at South Lake Hospital include: Cardiology, Orthopedics, Sports Medicine, Pediatrics, Pain Management, Oncology, Surgical Services, Home Health Care and Diagnostic Imaging (including mammography and MRI). Celebrating their 40th anniversary in 2003, Leesburg Regional Medical Center (LRMC), now affiliated with Orlando Regional Healthcare System, has grown from a 76-bed facility into a 316-bed hospital with two campuses. The hospital is in the midst of a $65 million expansion that will add more services to meet the needs of the residents of Lake and Sumter Counties. Phase I of the expansion includes a 15-bed Coronary/Cardiovascular ICU center, expansion of the diagnostic and x-ray department and a larger ambulatory/surgery area. A new Vascular and Interventional Procedures Suite was completed to treat stroke and aneurysm patients non-operatively via radiolic imaging. The hospital also added a new Patient Placement Center and rapid Admit-Discharge Center for patient care. And the New Life Care Center for women offers 14 suites with accommodations for the spouse. LRMC hosts the only open-heart surgery center in Lake and Sumter Counties, boasting one of the lowest mortality rates in the country. The Villages Regional Hospital has 196-beds and is affiliated with LRMC. It offers a 24-hour emergency room, a 6-bed Intensive Care Unit, full diagnostic capabilities and four operating rooms. Located at the four corners area of Interstate 4 and Highway 192, this state-of-the-art hospital offers residents 24-hour emergency care, ICU, medical/surgical, maternity care, diagnostic imaging, rehabilitation and sports medicine. They also have a new Women's Center, a 60,000 square foot fitness room, pharmacy and even a vegetarian restaurant. Established in 1969, LifeStream Behavioral Center is a private, not-for-profit organization and the only psychiatric facility between Orlando and Ocala. Treatment programs and services include psychiatric care for children and adults; individual and group therapy for adults and families; substance-abuse treatment; partial hospitalization; and geriatric treatment and residential services. In addition to the four major hospital facilities in Lake County, there are also 17 Healthcare Clinics, 13 Nursing Homes, 37 Assisted Living Facilities and one hospice. Cornerstone Hospice and Palliative Care, Inc., a free-standing, independent, not-for-profit corporation, was started in 1983 by a group of Eustis residents, then called Lake Hospice and later changed to Hospice of Lake and Sumter with the inclusion of Sumter County. In 2008, with years of growth and the expansion into surrounding counties, Hospice of Lake and Sumter County became Cornerstone Hospice.